Oracle Content Marketing, formerly Compendium, is a content marketing platform that allows you to create brand equity through compelling content, placed across multiple channels cost-efficiently, and into the minds of the audience members you want to reach. Work for Oracle Content Marketing? "Serves its Purpose But Needs an Upgrade"
We use Oracle to host our blog. It does a decent job of that. It's easy for users to access and write, and there's a nice workflow to review any content before it gets published. Permission levels are also nice so a random user cannot just post without a certain level of access. I also like being able to update the code if necessary. It's not the most user-friendly design. When you log in, it feels a bit dated and take a bit of time to get acclimated to where everything is located. The organization of the backend code files seems very disorganized. Finding any sort of tutorials, demos, site help is challenging. Maybe the worst part is trying to contact customer support. There is a lengthy registration process for their separate support forum that requires approval. I've had a couple support instances there have been left unresolved and and closed without any offers why. I don't feel like I'm noticing any updates that feel like Oracle is making progress. I'm not sure if it's the level of account we have/pay for. It seems like we installed/bought this one version years ago and have never updated. The interface feels dated, and I've never noticed any updates to change that feeling. We use it for our company blog. It has hosted our content for years. We used to have two blogs and they were helpful in combining the two without losing any archive articles. "Oracle Content marketing review by Robert Nagelmaker"
Workflows are a functionality in OCM making sure that the approval is given by the right person in the right job before it's on it's way to the next step and in the end, publishing! Template functionality in OCM allows for easy copying and adjusting, allowing you to re-use best practices quickly! In a organization where there's brand communication and this is a vital part, OCM can definitely help maintain/manage/analyze all the content that is being created by all of your editors. "Not bad - even for govt work "
We could show clients quantitative results of our campaigns, not just “the Post about this event has a lot of feedback and we heard ticket sales were better,” but better data like the event attracted these people from this far away and they knew about it thru this piece of content, whichvwe posted different places and times, place 1 and time 3 having best results. "Manage your marketing content optimally and achieve the desired impact"
"Review for Oracle's Content Marketing Suite"
Easy to use, and supporting several permutation, the CM suite is an excellent solution for a mid to large size business. It's meant to be used by a team, and the functionality can work across websites and landing pages. There's also the high benefit of translation management, providing support for localized products. Image upload is certainly a recurring issue that needs to be addressed. Image controls and sizing across devices can be pre-viewed better. Definitely look at competitors for better pricing, but most users will come to Oracle for the overall solution. Great way to post about the company, and ensuring that the marketing team can track effectiveness of strategies without involving the product teams. Super intuitive as a direct user. With regards to blog posting, easy to push out as well as format. For me, planning the timing of marketing outreach is important and the calendar function makes it easy to do so by prioritizing important pushes. I have not yet run into anything worth complaining about. Easy and automated way to ensure all of our top marketing drivers are being published and having the ability to meausure. Easy to Edit and switch to HTML for Special editing. The dashboard has a ice interface to quickly review updates. It is very difficult to export all of the contacts. If you are using Oracle's CRM, then you should investigate Oracle Content Marketing. Collecting leads from Internet marketing campaigns. Integration with our Web forms and Oracle CRM. Trusted source in regards to content marketing. Robust options! While I like all of the options, it can be a bit overwhelming. The products seem a little siloed. We are developing a content marketing team to enable sales to be come customer centric and proactive. I like the easy structure and straightforward layout. I dislike the clunky interface and disjointed workflow. We use it for blogging, and have seen benefits in allowing multiple users to contribute and edit. "Oracle continues to be the leader!" If you're willing to spend the money, this is definitely worth the price. "Couldn't run my content marketing program without Compendium"
The flexibility. I love that we're able to target specific calls to action based on the topic of a blog post. Compendium recently rolled out persona's which is another way you could target CTAs if it doesn't make sense to do it based on category or custom field. In addition to that, their moderation workflow is also key. We were able to set it up so that specific editors were able to review, edit and approve only the categories they're in charge of. For us, this is really important. I also like the ability to publish our own content. We publish a TON of content. But we repurpose it (this is the KEY). We send out multiple monthly newsletters (more than 10) across products that pull in the most popular posts from that month. We also leverage blog content for nurturing campaigns, as well as linking from within eBooks so readers can dive deeper into very specific topics if they want. Outside of marketing, Sales and Client Services leverage the blog to help educate and, in some cases, challenge prospects/customers on their status quo. Right now, I'd say it's that we cannot have different user permissions/user roles. However, that’s changing shortly (they’re doing an overhaul to add more functionality). This will be a big (awesome) change. Once that's done, we'll be able to have multiple "admins" who have rights to create/edit users in addition to just having Moderators. While right now I'm unhappy that this feature doesn't exist, I'm pretty excited that it'll be out shortly. Understand that the software isn't the biggest cost of a blogging program. It's the time and resources it takes to create the content. It's easy to set a schedule/ed cal in their solution and assign topics to people (with deadlines). Rally your troops. There's already a lot of content within your organization you could leverage. Your client services and sales teams send a lot of emails with information in them. You're already reading industry articles. Your technology team probably has things to say. You just need to harness what already exists (easier said than done, yes). The blog can (and should) go hand in glove with your Social and PR strategies -- in addition to emails and marketing automation. Once you start to tie everything together, the investment in the content is really an investment (as opposed to an expense). Easy to upload and format blog posts, make things searchable from previous posts and follow new events and happenings in and involving the company creating the posts. Great way to post about the company and gain some coverage on new things happening day to day! The blogging dashboard is pretty easy to navigate. There isn't an easy option to delete a post. Compendium has a great platform supported by an awesome team of support staff, developers, and account managers. They take the time to listen to their customers and continues to provide great service. Their staff goes above and beyond - the people make a difference. The only thing I disliked was the functionality of the first version of the editorial calendar. But I gave feedback on what I felt was missing and they delivered! All of my wish list items are part of the updated version. Have good communication with your account manager and let them know when you have ideas that would help make your content marketing more productive. We had some pretty ambitious design plans - and could get picky about making sure every little detail was how we wanted it. Our Compendium team didn't balk at all, they accomplished all of our wishes and were always very helpful and quick to respond. I couldn't be happier with our account manager Melissa, our head tech guy Mark, the entire support/help team and the final product! Another thing I really appreciate - anytime we come across anything from a user aspect that we think could be improved, or have ideas for a new feature that would help us out, our account manager really listens and puts the request in with their software developers. It's nice to know our feedback is taken seriously, and that we could have the potential to help make a great product even better. Just go for it! They really care about their clients and are just as excited as you are to put your designs to life. It was great working with the entire team. "Content Marketing Made (Extremely) Easy"
This is a company that exemplifies great customer service! My team was extremely pleased with the speed and clarity of communication we had throughout the whole development and implementation process. Bugs will inevitably come up. Admittedly these resulted from custom design and functionality implementations that we desired—which the Compendium team delivered. These guys can do anything, but I would recommend knowing what YOU want before going in. Put aside a significant chunk of time to know what your angle for your content marketing will be—it will save both you and the good folks at Compendium a lot of time and get your site launched that much more quickly. "Compendium is Perfect for Ambitious Marketing Plans"
The feature set is deep and is constantly being updated and expanded. The devotion and communication of both the account managers and the support staff has been excellent. And since Compendium has their own development team, the customization options are truly unlimited. We asked for many features that were not part of the traditional scope of a simple blog, and most all our requests were approved and delivered. To be perfectly honest, every one of my concerns and problems have been handled by the support team, or are being addressed in future updates. The primary benefit of using the Compendium software is the account management and customer support. You don't have to use your IT team for virtually any of the creation, integration, and maintenance of the site. "Compendium goes far beyond a CMS, a true content marketing hub"
The ability of our bloggers to share their stories on their social media channels, giving us access to thousands of contacts that we may never be able to reach on our own. The fact that spam bots have found one of our online submission forms and they post to it about 15 times a day. Really annoying, and time consuming. Know who your target audience is, and what it is they want to know and hear about. Make sure you have the support of your key internal stakeholders to not only approve of this tool, but also plan to understand how it can be used, and develop a strategy for doing so. Treat your authors/bloggers like heroes, because they are the ones that make this all possible. "Use Compendium for our blog - works well." My favorite part of Compendium is their great support services. An issue I've experienced with Compendium is having some difficulty with uploading certain pictures. Become best friends with the support staff - they are so helpful! Learning about Oracle Content Marketing? * We monitor all Oracle Content Marketing reviews to prevent fraudulent reviews and keep review quality high. We do not post reviews by company employees or direct competitors. Validated reviews require the user to submit a screenshot of the product containing their user ID, in order to verify a user is an actual user of the product. Hi there! 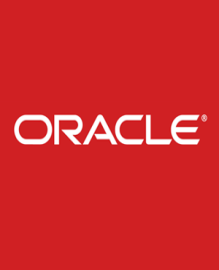 Are you looking to implement a solution like Oracle CM?